The classrooms are vibrant with innovate learning areas that foster a love for learning. The modern facilities are inviting and reflect the pride the community have for the school. The students at Trinity love learning in a collaborative flexible environment. We offer a wide range of programs to stimulate and challenge the students, including STEM, Enrichment, learning support, sporting opportunities, public speaking and Music tuition. Trinity has a BYOD IPad program for students in Years 3-6 which is supplemented with additional IPads for Infants. 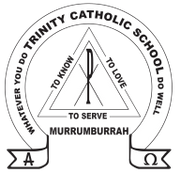 If you would like to know more about Trinity Catholic School, please contact us. 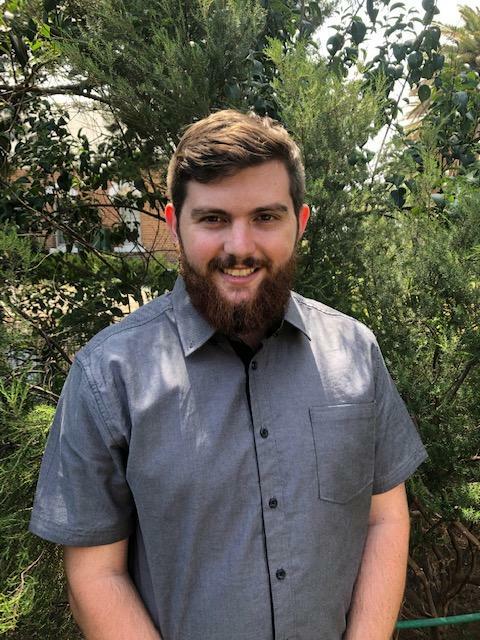 Jack Niddrie, Kindergarten Teacher has started teaching at Trinity this year. Jack has a passion for teaching and is passionate about learning. He has created a friendly and welcoming learning environment for the Kinder students who have settled in beautifully. Jack has the qualifications of Bachelor of Education from the Australian Catholic University in Canberra. Rebecca Cooper, Year 1/2 Teacher & Assistant Principal has been an educator for 15 years, having worked at Trinity for the last 10 years. Rebecca is passionate about student achievement and incorporating innovative teaching practices and technology into her teaching. Rebecca loves sharing in those ‘light bulb’ moments of learning, encourage students to continue to discover and most importantly to build confidence and have fun everyday. Penny Lucas, Learning Support Coordinator is a third generation teacher and knew she wanted to be a teacher since she was tiny. School for Penny was always incredibly fun and enjoyable, and loves being able to create a really positive and exciting environment with the children at Trinity. A strong sense of community is very important to Penny and Trinity is a place where the feeling of belonging for staff, students and families is always a priority. Sarah O’Brien, Year 3/4 Teacher graduated from the Australian Catholic University with a Bachelor of Education in 2017. She started teaching at Trinity last year. Sarah is a country girl at heart that has always dreamed of becoming a teacher. Her passionate is to inspire children to learn and grow in the footsteps of Jesus. Sarah has settled in well into Trinity's friendly, welcoming and caring environment. Donna Wade, Year 5/6 Teacher & Religious Education Coordinator has been teaching for 28 years and particularly enjoys teaching in country schools. She is passionate in her objective of assisting children in achieving their full potential with a strong emphasis on self-belief and faith in others. Sport plays a major role in both Donna’s personal and teaching environment as teamwork is a critical component of a successful life. Julie Doolan, School Liberian has been teaching at Trinity over the past 30 years, where she has held many leadership roles, taught across all grades and have delighted in coordinating numerous extra curriculum activities, sporting carnivals and religious ceremonies. Julie regards teaching as a vocation and is very passionate about the academic, spiritual, emotional and personal development of the children in our local community. One of Julie’s passions is to foster and encourage a love of literature and reading in the students - it is a real skill for life. Carmel Babos, School Pastoral Care Officer has worked at Trinity since 2009 as a classroom teacher and then as School Chaplain since 2011. Carmel is passionate about seeing students achieving with their learning. She enjoys being a spiritual presence at Trinity while offering spiritual support and pastoral care to students, families and staff. Ann Burns, Learning Support Assistant has been involved with Trinity for 27 years and has enjoyed every minute of it. She has developed a passion for working with students with disabilities and a range of educational needs. Joanne Birks, Learning Support Assistant has been at Trinity since 2017 and loves her position working with our students. Joanne enjoys helping children develop and work to their best. Trinity reminds her of the small school she attended and loves working in our small community. Amy O'Brien, Year 1/2 Teacher & Release Teacher has resumed teaching at Trinity in 2019. Amy has been doing temporary and casual teaching since 2007 and has both a welfare and teaching background. Amy is keen to combine these areas and is looking forward to teaching all classes with the majority of time spent in Year 1/2. Leanne Davis, School Secretary has worked at Trinity in the front office since 2002. Leanne is in the office on Mondays, Tuesdays Wednesday’s and Thursday's and can answer your enquiries or direct you to the appropriate staff member for help. 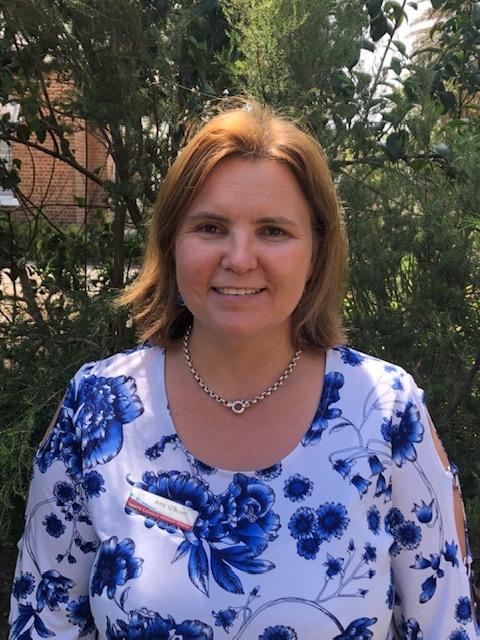 Fiona Bassingthwaighte, School Secretary & Learning Support Assistant started working at Trinity at the beginning of 2018 in the office. Her current days are Tuesdays & Thursdays in the classroom and Fridays in the office. Fiona has enjoyed her transition to Trinity and loves being a part of the school community.